When it comes to ensuring the safety of their staff of clients, this company does not play. Seguro Nonslip Surfaces was contracted to address various surfaces that had the potential of causing slips and trips in an around the office building. 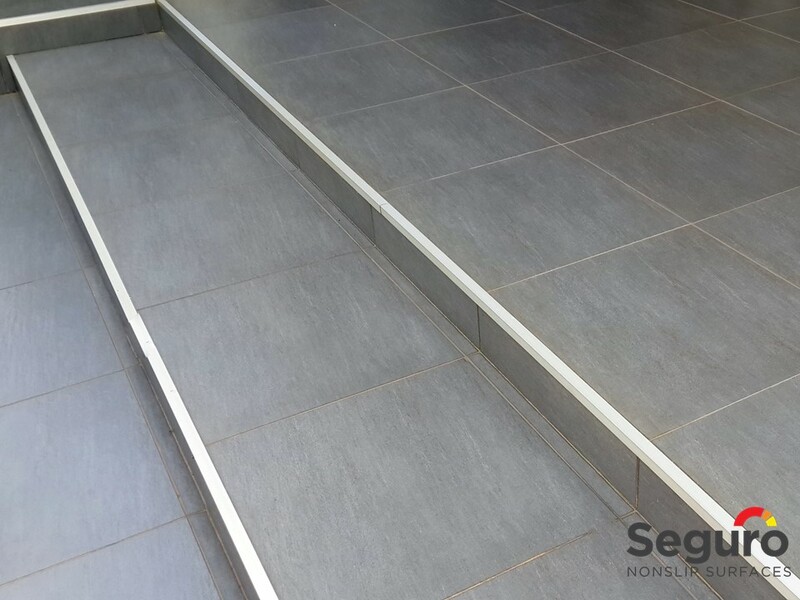 For the front entrance we recommended our anti-slip coating to add slip-resistance to the beautiful porcelain tiles. During the application the tiles were cleaned with a special cleaner and after the anti-slip coating was applied, they look like new. One of the many benefits of applying the anti-slip coating is that you don’t have to have your tiles replaced. The process of applying the coating is simple, quick and the floor is ready for use as soon as we’re done.